The US Treasury Department has given a sanctions violation notice to the US payment system MasterCard over an alleged credit card cooperation scheme with two blacklisted Iranian banks. The Treasury in a statement has announced that its Office of Foreign Assets Control (OFAC) has identified dormant MasterCard accounts at Iran’s Bank Melli and Bank Saderat which it has described as two blacklisted Iranian banks. “As a large and commercially sophisticated company that deals primarily with banks and other financial institutions, MasterCard should have identified and reported accounts, funds, and property and interests in property,” the release said. The MasterCard accounts remained dormant and funds in those accounts never reached any sanctioned individuals or institutions, according to the release. 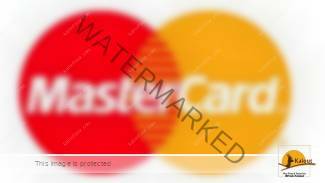 Moreover, MasterCard cooperated with authorities during the investigation. As a result the Treasury’s enforcement was limited to a “finding of violation,” with no further penalties, the release continued. The violations occurred prior to the January 16 implementation of an international nuclear deal with Iran, which resulted in sanctions against Bank Melli being lifted, along with most other economic sanctions against the Islamic Republic. Iran’s media reported in December that MasterCard has started to reach out to the Iranians by launching a public relations campaign in Persian in popular social media like Telegram. This was seen as a move by the US payment services corporation to prepare to set its foot in the Iranian market. Iranians under the current regime of US-engineered sanctions cannot use the services of the international electronic payment operators like MasterCard, PayPal, Visa and others. This has significantly complicated not only individual foreign-bound payments by Iranians but also business transactions between Iranians and foreigners.